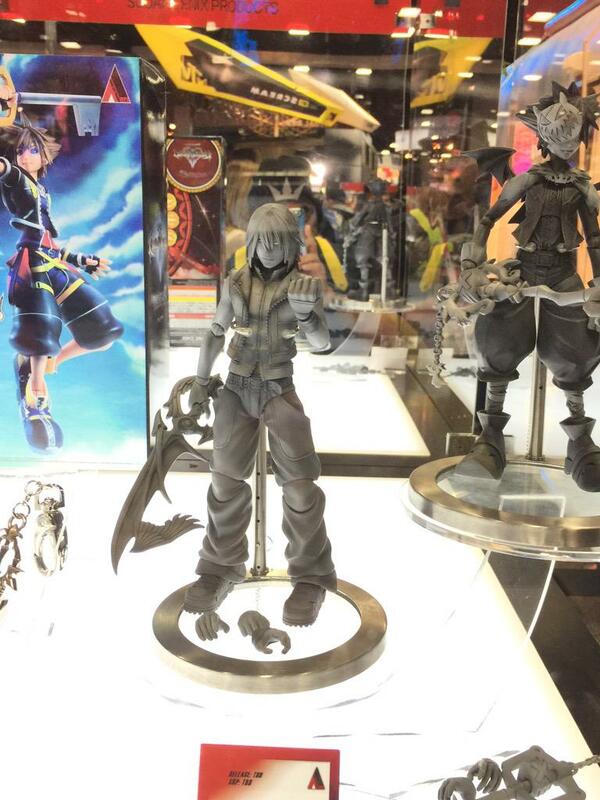 News ► Kingdom Hearts II Riku & Halloween Town Sora Play Arts Kai revealed at San Diego Comic Con 2015! San Diego Comic Con 2015 has begun, and as always it is full of amazing surprises for Kingdom Hearts fans. Square Enix has revealed two brand new Play Arts Kai figures this year, Kingdom Hearts II Riku and Kingdom Hearts II Halloween Town Sora! While there is no release date or price revealed yet, we will keep you all informed about these new figures as soon as more information is available! Follow Kingdom Hearts Insider on Facebook, Twitter, and Tumblr for the latest updates on Kingdom Hearts 3! 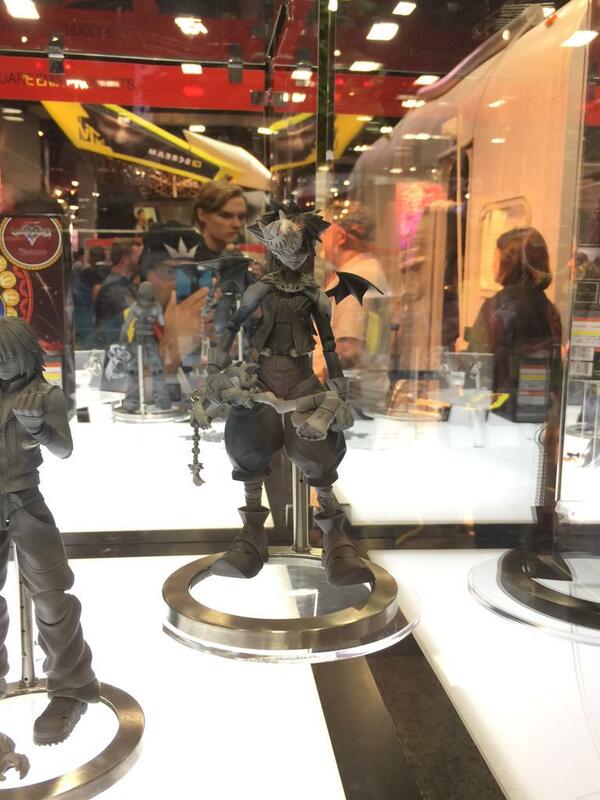 Re: Kingdom Hearts II Riku & Halloween Town Sora Play Arts Kai revealed at San Diego Comic Con 2015! The Japanese sure do love their Nightmare Before Christmas. I really like the level of detail for these. Riku's in particular looks like he's really determined for...something, I guess (maybe it's the fist). Wait, didn't we already have a Halloween Town Sora? Sweet! These look great. Riku's long hair looks better on the figure than it did in the game. Riku looks really great! I'm really glad he got an upgrade from the previous model. I have nothing against Halloween Town Sora and I'm happy for collectors who wanted him but I've been hoping for TAV or Kairi Play Arts Kai. I'm not complaining or anything, but are we ever gonna get play arts kai of the other characters? I mean, I know sora and riku are like the faces of Kingdom Hearts, but it would be sweet to get one for other characters like Terra, Ven, and Aqua for example. Right? We've all been asking that for years! I suppose it's a blessing that at least they've started to make more Riku play arts at least instead of merely ten billion Sora's, but with Nomura having expressed interest in TAV PAK in interviews, you'd think we'd at least see a prototype by now. Yeah, I feel like I have enough merchandise with Sora and Riku at this point...but I might get KH2 Riku all the same He does look nice. You can never tell with Tetsuya Nomura. Ugh, that Riku PAK!!! Dx I must have! The detail! The HAIR! Finally a KH 2 Riku-figure, yeah. Now we only need to get the BBS-Trio and some villains too (particularily Ansem SoD together with the Guardian, Xemnas in Zebra-look, Geezernort, Young Xehanort with blue lightblades and Vanitas). And really guys, you need to finally cut it with all the Sora figures. There exist more figures of that one character than the whole series main cast is in numbers. My god, that KHII Riku figure! All the details, and finally we can see Riku`s long hair in all of its glory. His outfit also looks really cool. After this BBS figures pls Nomura? I wanna see Aqua in all of her glory, and rest of the trio. Maybe even if we get radical, versions with their normal clothes, and versions with their armor on? ITS TOO REAL!!!!! IM IN A DREAM!!!! Awesome! I want Riku! They both look pretty real. I want that Riku figure now. I have the Tron Legacy Riku play arts and its really nice. Also SE, please release PAKs for TAV, the different Xehanorts and the rest of Org. 13 (I want my Zexion and Demyx PAKs now). Considering how expensive these things can be sometimes, just think of them as "collector's items" instead. It's not much more silly than purchasing anything else related to the franchise, right? Don't think of them as toys because they certainly cost 100x more than your average "toy". They are meant to be displayed as a collector's item.